For I know the thoughts that I think toward you, saith the Lord, thoughts of peace, and not of evil (calamity) to give you an expected end – Jeremiah 29:11. Sometimes we get wearied, especially if we have been praying for something or someone for a long time. Our emotions and Satan will try to influence us to stop praying, stop believing, but God has given you a promise and God is not like a man that He should lie, nor the son of man that He has to repent. 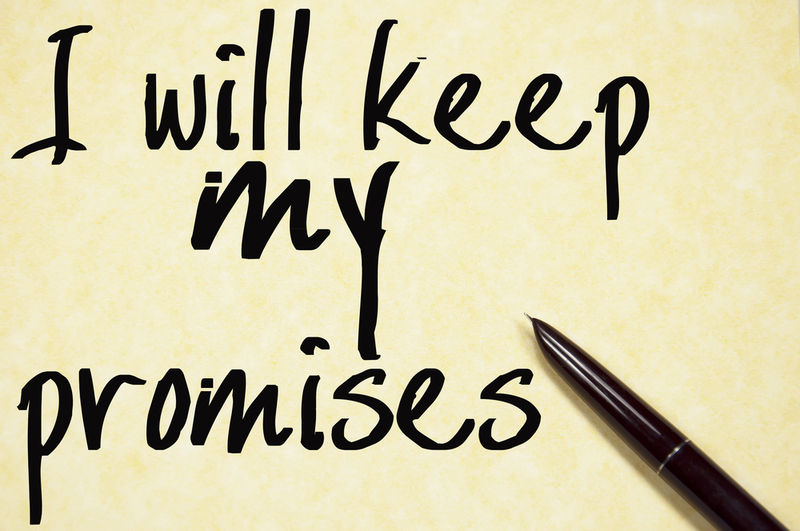 Whatever God has promised you, God will fulfill His promise. Sometimes our prayers haven’t been answered because it’s not in line with God’s Word; God will never go against His Word, so we need to know when we’re praying, are we praying according to or against the Word of God. Another reason why a prayer will not or hasn’t been answered is that we’re not really believing what we’re praying for or it’s not the time for the answered prayer to be manifested. Faith is waiting even though the prayer hasn’t been answered in the time we think it should have been answered; it’s not what we think He will do, but what we know He will do. Praying and reading the Word of God increases our faith in God and in His Word. God has promised, no good thing would He withhold from them that walk uprightly (For the Lord God is a sun and shield: the Lord will give grace and glory: no good thing will He withhold from them that walk uprightly – Psalm 84:11). If you’re walking uprightly before God, then know, that your prayers are going to be answered, no matter how long it may take. Sometimes you may have to be like David and encourage yourself in the Lord because if we have to wait too long, we will begin to be weary in our faith, but when we meditate on Scriptures and remember what God has done for us in the past it will strengthen our faith. The Bible has given us many illustrations where the people of God waited for long periods of time for their prayers to be answered or a manifestation of what God had promised them. Abraham was seventy years old when God promised him, he would be the father of many nations, the promise didn’t come into manifestation until Abraham was in his nineties, over twenty years he continued to wait on the promise. Joseph was given prophetic dreams about him being in leadership when he was seventeen years old. The prophetic dream didn’t come into manifestation until Joseph was over thirty years old when he became governor in Egypt. Joseph’s wisdom and knowledge gave him favor with Pharaoh by the grace of God upon his life. Making him absolute master over his personal belongings as well as governing Egypt, except for the priest’s land. Joseph went through many heartaches, and he was innocent he hadn’t done wrong, but because his destiny was to rule, God had to build character, and faith so that when he received the blessing he wouldn’t forget who gave the blessing. Nothing happens that God doesn’t know about, we go through many test and trials during this journey to the promise land. Whatever giant we run into on the journey God has already empowered us to defeat the giant. God never allows us to go through difficult times and He’s not there to bring strength, comfort, and peace. Faith comes through what we go through, if we never went through difficult times, our faith would be in ourselves and not God. God loves us even when we’re going through a test, trial, disappointments, frustration and any other issue. God has empowered the believer to win and not be defeated, even when death comes, we’re not defeated because then we’re on our way to meet the Father and Son and live a life without worry and pain. Either way, it goes, God has stamped conquerer in your spirit and in your situation. God is the same God that promoted Joseph, gave Abraham a child; He hasn’t changed. Wait on the promise of God, don’t detour your faith, don’t believe what your emotions and Satan is telling you. We can’t please God when we’re in doubt. If you’re going to pray, don’t doubt and if you’re going to doubt then don’t pray. God has a plan for your life and it’s bigger than what your finite mind can imagine. Wait on God, believe God and receive the promise He has promised you! Stop looking at the circumstances and look to God. Why would you believe what your emotions are telling you, rather than believing what God has promised you? Mark 11:24 – Therefore I say unto you, What things soever ye desire when ye pray, believe that ye receive them and ye shall have them.